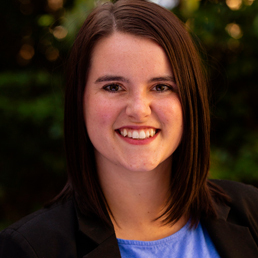 Brianna joined the Career Center staff in July 2018 as the Career Consultant for College of Agricultural and Environmental Sciences, College of Environment + Design, the Warnell School of Forestry and Natural Resources, and the Odum School of Ecology. Originally from the Midwest, she holds a B.A. in Communication Studies from the University of Northern Iowa, and an M.S. in College Student Personnel from Western Illinois University, where she began her work as a graduate career advisor. Brianna is passionate about helping students discover their own passions, and is excited to work with students all across UGA’s campus. Students may also schedule an appointment with their Career Consultant through their Handshake account.